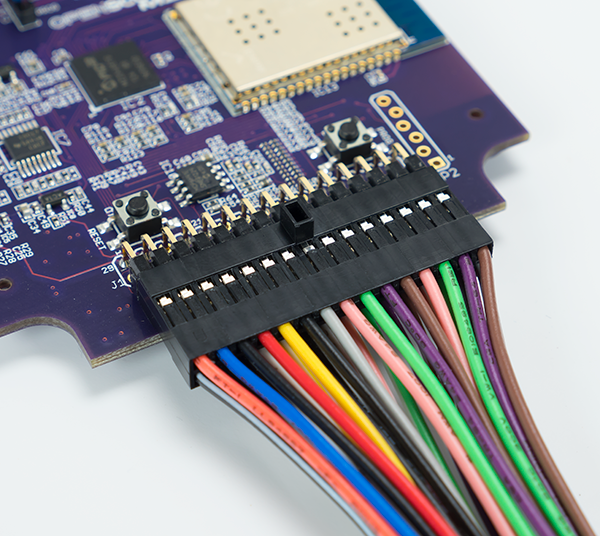 For those of you that have a discerning eye, or have both the Analog Discovery and OpenScope MZ, you may have noticed that the 2×15 female connector that allows you to gain access to each devices tools is the same. While hardware wise they are the same, each device has a different pin diagram. On the left is the Analog Discovery pinout diagram, and on the right is the OpenScope MZ pinout diagram. Some of the key differences you can see are that the OpenScope MZ has a INT/CLK1 pin instead of the second Waveform Generator, and 6 of the channels on the bottom row are not general Digital I/O channels. 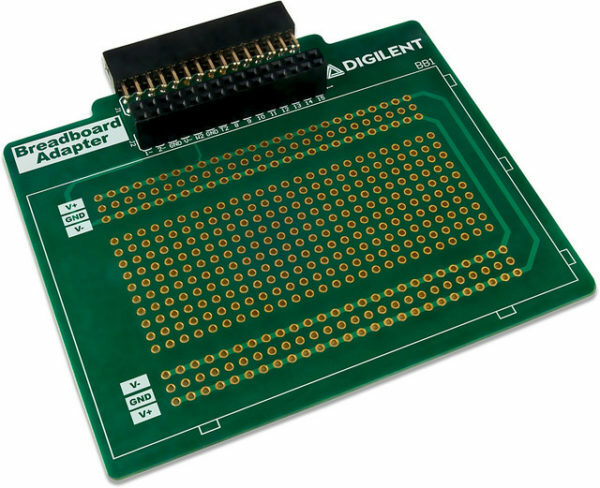 The fact that the hardware is the same but the pinout diagrams are different has some implications on some of our accessory products, for example the newly released Breadboard Adapter for Analog Discovery. 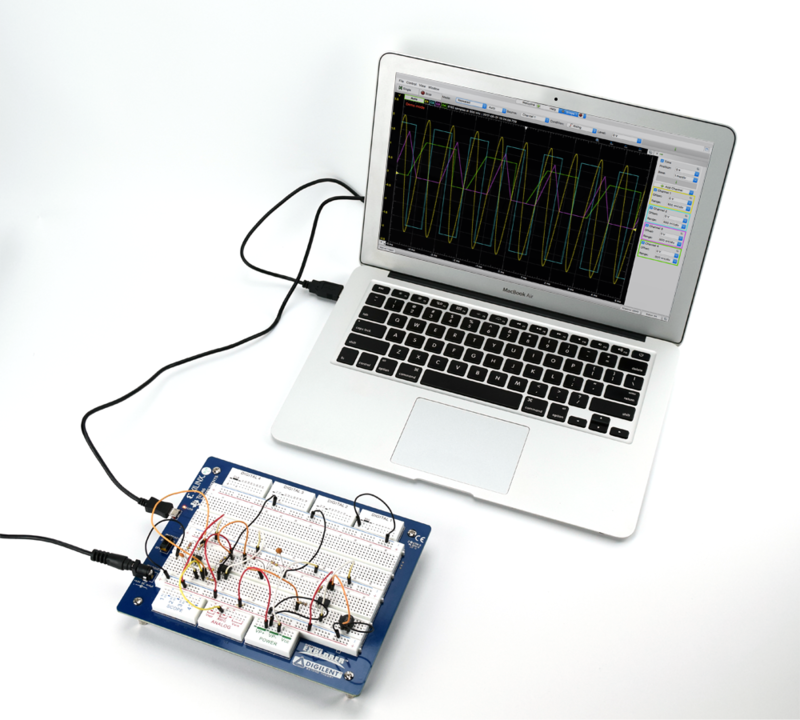 The Breadboard Adapter for Analog Discovery was designed with the Analog Discovery in mind. This means that the labels on the pass through female connector have labels that correspond with the Analog Discovery. Since it was designed for Analog Discovery, the Breadboard Adapter has labels corresponding to the Analog Discovery pinout. 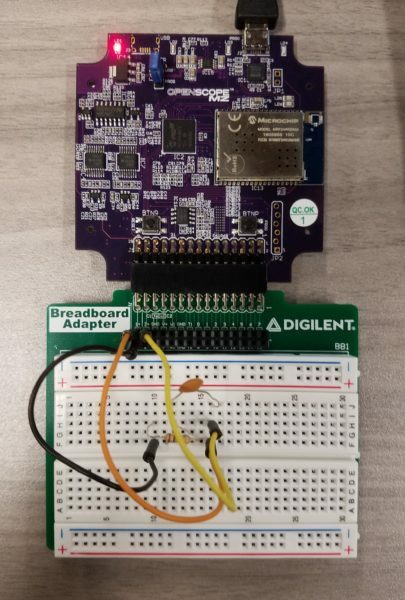 So to answer the question, can you use the Breadboard Adapter for Analog Discovery with OpenScope MZ? Yes, but with a big but. The Breadboard Adapter for Analog Discovery being used with the OpenScope MZ. So if you have a Breadboard Adapter for Analog Discovery, and you also have an OpenScope MZ, they can be used together, BUT, pay close attention to the pinout diagram of the OpenScope MZ, it WILL NOT match the labels on the Breadboard Adapter for Analog Discovery. Speaking of adapters that are designed to be used with Analog Discovery but also work with OpenScope MZ, did you know, that you can also use the BNC Adapter with the OpenScope MZ. The BNC Adapter plugged into the OpenScope MZ. 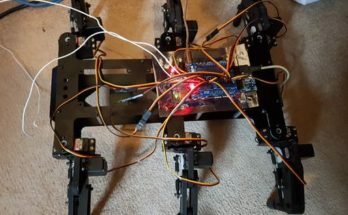 Now, you won’t get the bandwidth improvements that you see with the Analog Discovery being used with scope probes, but you’ll get some signal integrity improvements. Oscilloscope probes are significantly less noisy than the flywires, so you’ll see a bit of an improvement there. You’ll also be able to AC couple, and then of course the most obvious advantage, you get to use traditional probes. 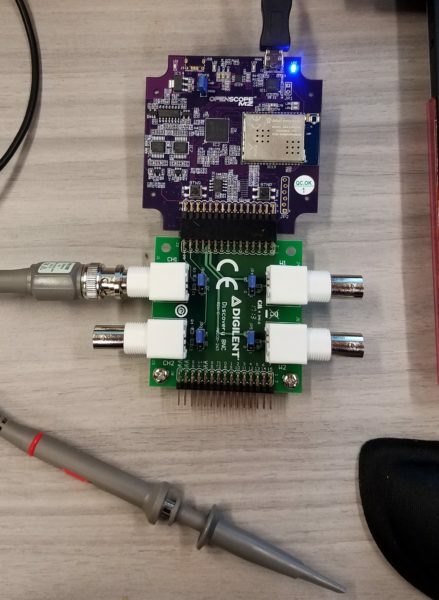 As I mentioned before the pinout of the OpenScope is NOT the same as the Analog Discovery 2, so you won’t be able to use the BNC connector labeled W2, because there is no second Waveform Generator on the OpenScope MZ. To learn more about the BNC Adapter for Analog Discovery check out it’s resource center. 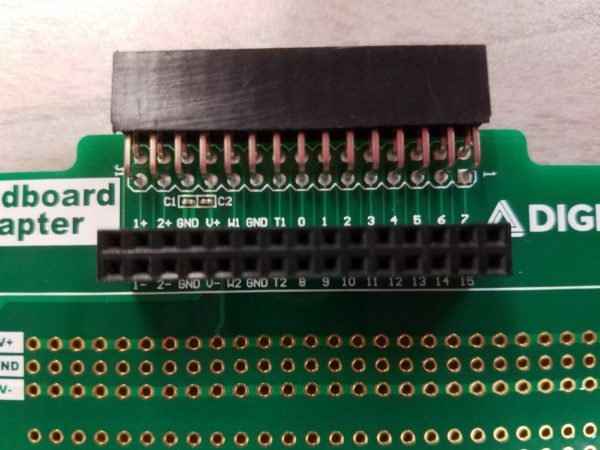 If you want to learn more about the Breadboard Adapter for Analog Discovery check out it’s resource center.